Entry filed under: Around The House. Tags: curtain, magnet, shower, still. The other way to get around this is to buy shower curtains with magnets in the bottom. 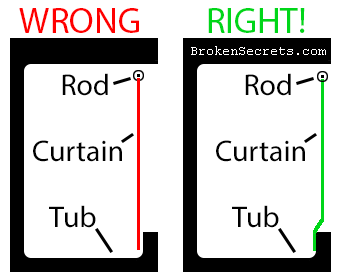 This obviously only works if you have a tub that is ferromagnetic.